Renal pelvis dilation is a condition that affects the urinary system and causes the kidney to swell with fluid. This condition is called hydronephrosis and primarily affects two population groups: infants and older adults. During pregnancy, anomalies in fetal development can result in kidney abnormalities. In adults, urinary obstruction can result in hydronephrosis. 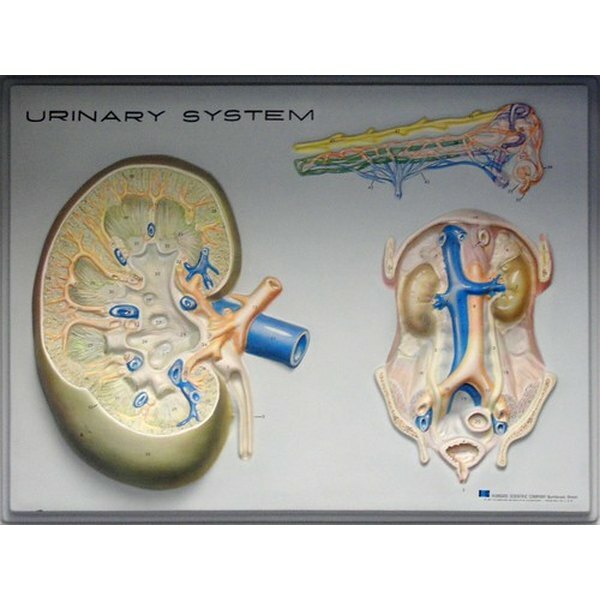 Each kidney has a central area where urine collects called the renal pelvis. Ureters are tubes that drain urine from the renal pelvises and direct it to the bladder. If the ureters are blocked or constricted, they cannot effectively drain urine from the kidneys. A buildup of urine in the renal pelvis causes it to dilate. A dilated pelvis typically results in reduced urine output and urinary tract infection. Fetal kidneys can be assessed at 20 weeks gestation. The ultrasound technician examines the size, position and texture of the kidneys and observes the ureters and collecting system. In adults, symptoms include pain in the kidney or pelvic area, especially if urine production exceeds flow rate in the obstructed area. Urine volume may diminish or stop completely depending on the severity of the blockage. Diagnostic tools include CT scan, ultrasound, MRI and radionuclide scan. There are two main causes of hydronephrosis. Excess urine collects in the renal pelvis when one or both ureters are blocked, restricting the amount of urine that drains out of the kidney. Hydronephrosis also occurs when there is a back flow of urine from the ureters into the kidney. According to the medical college at Cornell University, hydronephrosis is detected in about 1.4 percent of fetuses who received sonograms. It is the most common fetal anomaly and accounts for about 50 percent of all findings. Hydronephrosis in infants is a result of a genetic anomaly. The most common cause is UPJ (ureteropelvic junction) obstruction that results from a narrowing of the ureter as it descends from the kidney. Another cause of hydronephrosis is urine reflux, where urine flows back to the kidney. Reflux is often caused by problems with valves in the ureters that control the flow of urine. Adult hydronephrosis typically develops from UPJ obstruction. This blockage may be caused by anatomic abnormalities; compression by masses or enlargement of surrounding tissues, such as enlarged prostate, pregnancy or inflammation; functional abnormalities, where parts of the urinary tract are not working properly or mechanical obstruction by uric acid crystals or blood clots. The obstruction causes urine to pool in the renal pelvis. There are several treatment options available to adults and infants, depending on the severity of the renal pelvis dilation. Most cases of adult hydronephrosis are treated by removing the obstruction with surgery, endoscopy or drug therapy. Infants are treated after birth, although several types of fetal interventions are available. After delivery, infants with fetal findings are carefully examined and often undergo a series of tests to detect abnormalities and determine kidney function. These infants often receive antibiotics to treat or prevent urinary tract infections. Very few babies with hydronephrosis require surgery. Prenatal Ultrasound Findings: Dilated Renal Pelvis?